Families who choose Pine Point's ninth grade program recognize the unique opportunity it offers for preparing students to be leaders in secondary school and in life. Academic courses are rigorous and taught in small class sizes. We chose the ninth grade program for our daughter because it offered the best possible preparation for secondary school. Pine Point balances opportunities for leadership with the support and guidance that fosters excellence. Graduation in June was a memory that will last a lifetime -- for our daughter and for us as parents. As our graduates enter secondary schools – at local day schools, boarding schools, and public schools – they are confident in themselves and prepared to make the most of every opportunity. The best way to learn about our 9th grade program is to meet with our current 9th grade students. Stop in to visit a class, speak with our faculty, and, best of all, talk with one of our 9th graders. Pine Point School students have the privilege of studying three areas of fine arts: visual art, dance, and music. In an effort to recognize the long-term growth and development of 9th grade students in the area of fine arts and to acknowledge their desire for pursuing specific artistic interests, the school provides the opportunity for 9th graders to choose one area of study per semester. The student can concentrate in a discipline about which they are passionate. Or they can explore a domain with which they are not as familiar. Both approaches widen their experience, perspective and growth about the value of the arts as tools of self-expression. Two of the three arts must be taken during the 9th grade year. All three 9th grade fine arts classes (visual art, dance/theatre, and music) meet at the same time three times a week. At the first class meeting the three arts teachers discuss possible opportunities for study in each domain. 9th graders are then required to submit a proposed course of study including choice of discipline, objectives, syllabus or schedule, materials and/or equipment needed for project, method of documenting progress (e.g. journal with photos, videos, recordings), and the final product. Teachers review the proposals for approval and determine grading criteria. The culmination of each semester is a 9th grade evening of senior arts projects (art gallery and performances) where the entire PPS community is invited to attend. This program is a way to highlight the accomplishments of the 9th graders and their serious pursuit of artistic studies. The School's diverse program of off campus study is much more than the proverbial "field trip." Pine Point students travel throughout their community, state and nation to engage in their curriculum in meaningful and authentic ways. In February, students will travel to Hawai'i. 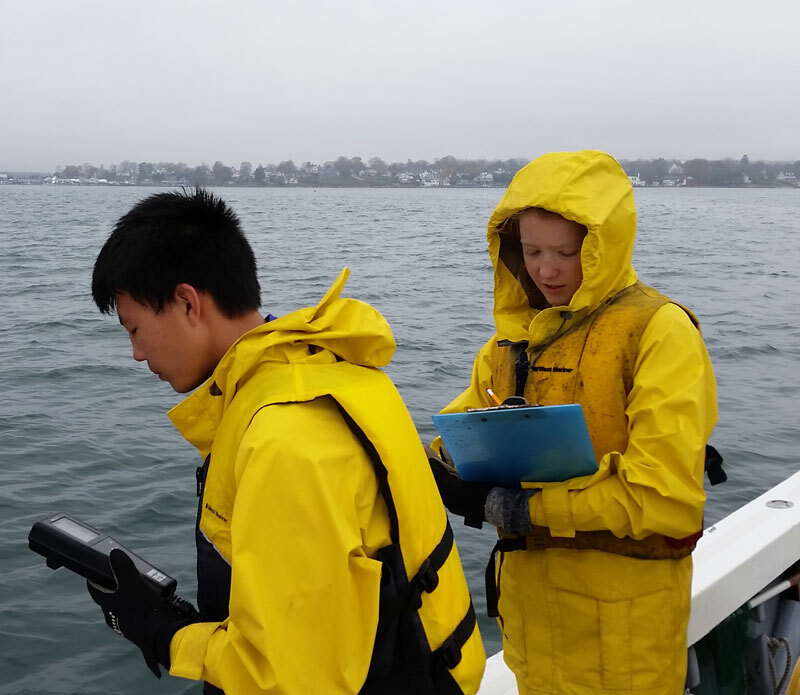 Throughout the year, the class will also build on Pine Point’s relationship with Mystic Seaport as the students study the relevance of whaling through literature, science, art, history. Pine Point is grateful to the students and faculty of Hawaii Preparatory Academy, along with the staff of Mystic Seaport, for their initial help in planning these ambitious and rewarding programs of study.